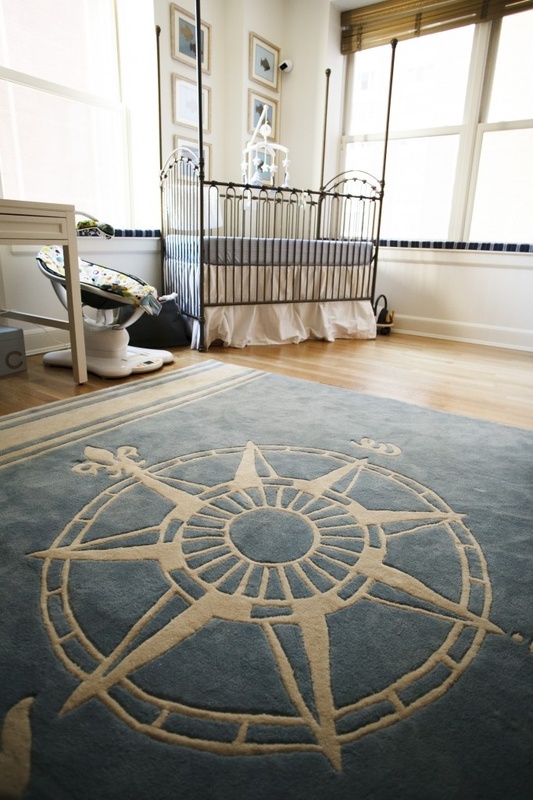 Many of us will rarely find ourselves sipping champagne on the boat deck of some Titanic-like cruise ship, but that doesn’t stop us from designing our homes with a nautical theme. 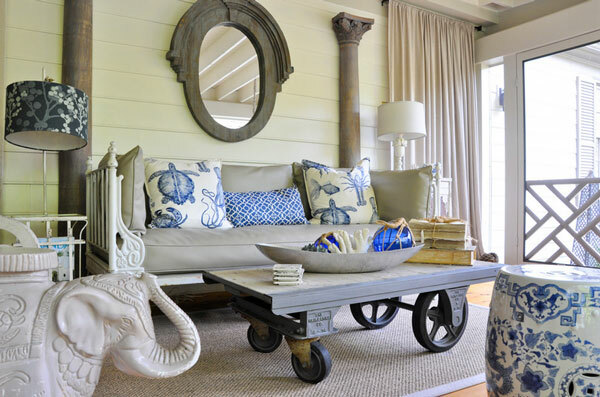 Though summer is still a few months away, I thought it would be helpful to share some beautiful sea-inspired decor ideas with you now, because I’m sure you would rather enjoy your summertime in the sun than deal with the interior designer inside. When you have a great decor idea on hand, it’s never too early to start making improvements! You may be familiar with the nautical theme, but if only blue and white stripes come to mind, then you might be a little more off the batting mat than you’d think. 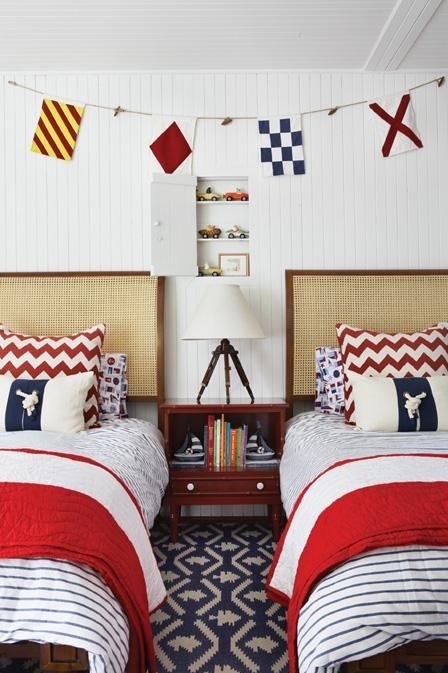 To complete the picture of coastal living, it is vitally important that you bring in key elements that are unique to the beach, which can include wave-washed chunks of wood, thick ropes, paddles, buckets and pails, palm trees, compasses, anchors, and of course, seashells. I’m sure you can think of more motifs than the ones I’ve listed, but just remember to let the waves guide your style. And when all else fails, pick up a few things from a shipwreck and you will be well on your way to becoming captain of your own ship…at home. 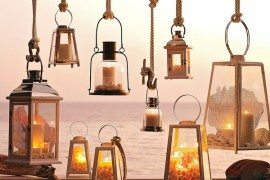 See how boat elements like dock lines and lanterns can be incorporated into the home above to add something special to the decor?! If you like the staircase in this home, you can easily accomplish a similar look in your home as well. 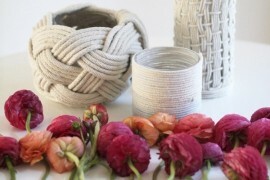 If you are a little iffy about tying the knot, perhaps you can first sign up for a sailor’s knotting class. Upcyled from metal scraps found around the boat, the wheeled coffee table above can be easily pushed out onto the deck for afternoon naps in the sun. 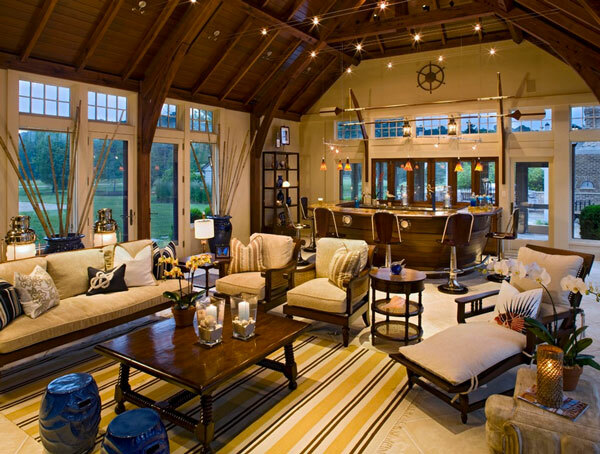 When you are trying to give your home a nautical makeover, think of designs that will work well indoors and outdoors. 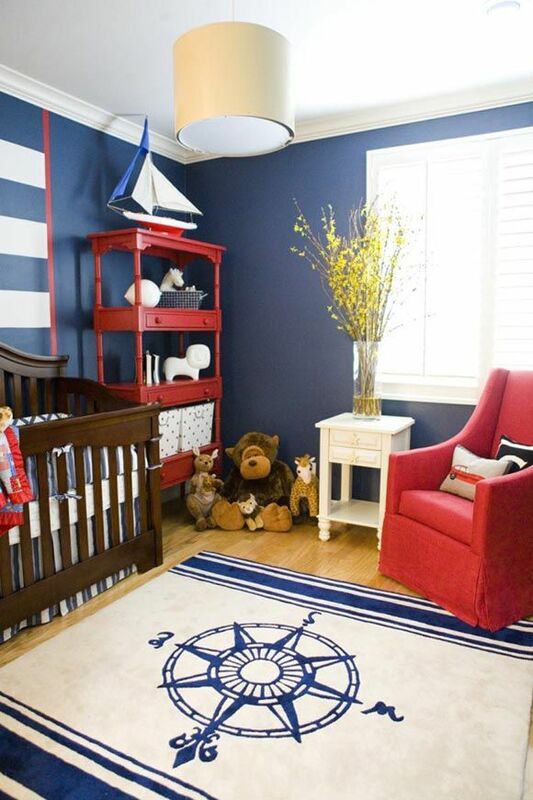 Blue, white, red and natural wood elements are the Big Four when it comes to nautical themes. Just remember not overpower the overall the decor with too much red. Compasses in general have always been a large presence in nautical themes, regardless of their size. Finding ways to incorporate these simple elements can lead to an impactful decor. 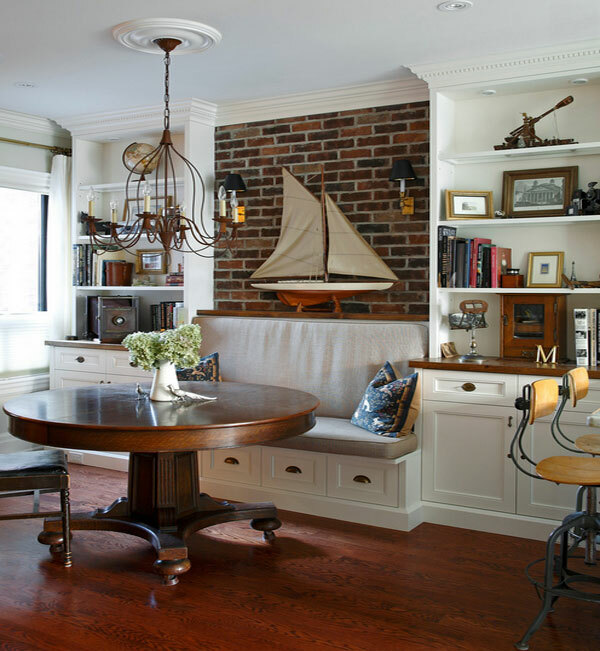 I hope you will agree with me when I say that nautical-themed homes are charismatically charming and refreshing. 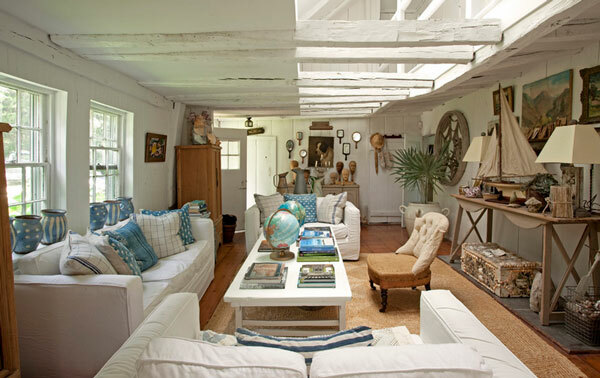 Though sometimes the house may get a little cluttered, especially with bundles of ropes and piles of flip-flops everywhere, a cozy beach vibe makes up for all of that. Rustic cabinets and a soothing shade of dusty blue are iconic features of the nautical theme, especially for the bathroom. 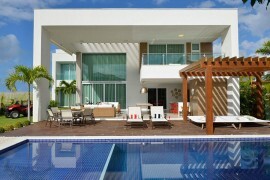 The home above is a great example of how these simple elements can come together to demonstrate modern style. Now we’re getting to the good stuff! 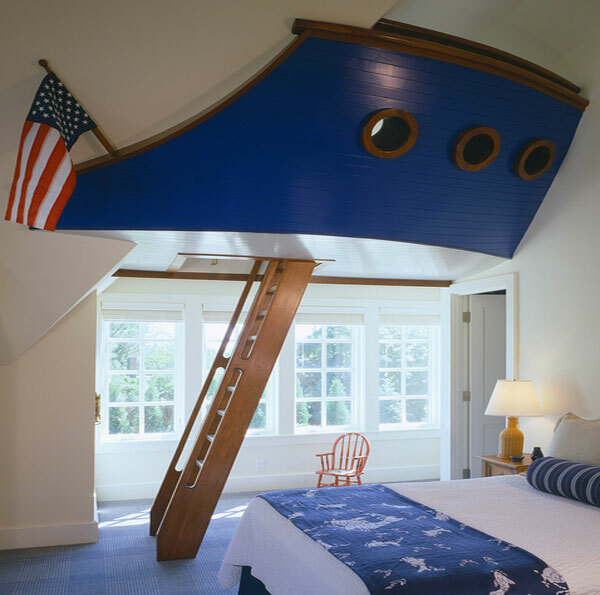 Beds in the shape of speedboats and overhead hideouts in the shape of boat decks are a godsend from decor heaven. 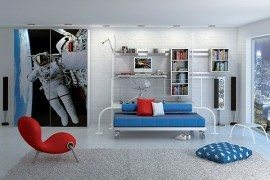 If you want your kids to smother you with love on Mother’s Day or Father’s Day, you’d better start prepping for these new pieces of furniture now, because you wouldn’t want to miss the smiles on your children’s faces when they see their totally renovated rooms! 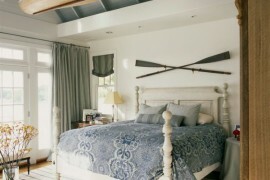 Hanging beds from the ceiling might have nothing to do with the nautical theme, but using sailor’s rope to accomplish the task is in direct relation the sea. Don’t you think the rooms above consist beautiful elements that can do your home justice?